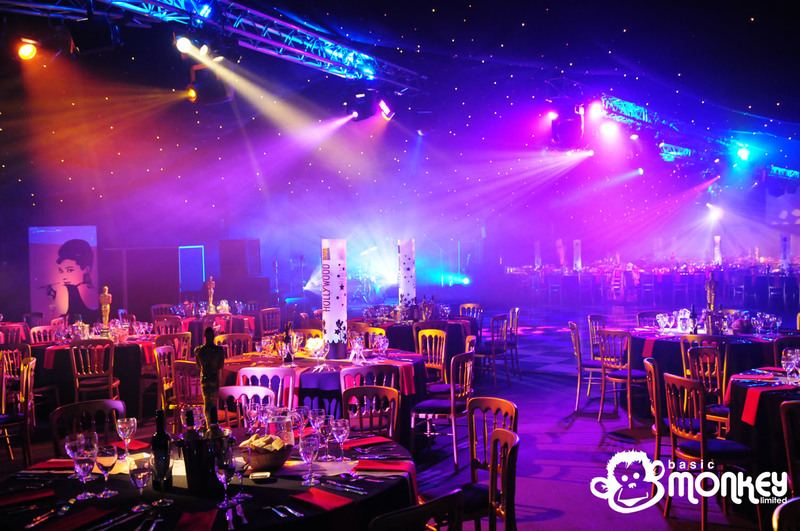 Based on the success of the Catalyst and Barco iLite 12 combination at Paul Hogarth’s birthday party, James was asked by CSP to reproduce the spaced screen effect for Unilever’s Christmas party in a marquee at Chester Rugby Club. 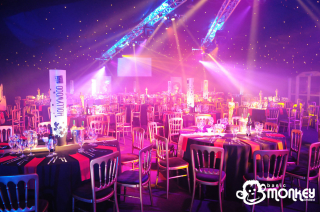 The event had a strong Hollywood/Oscars theme with lighting designed and implemented by James to enhance this. 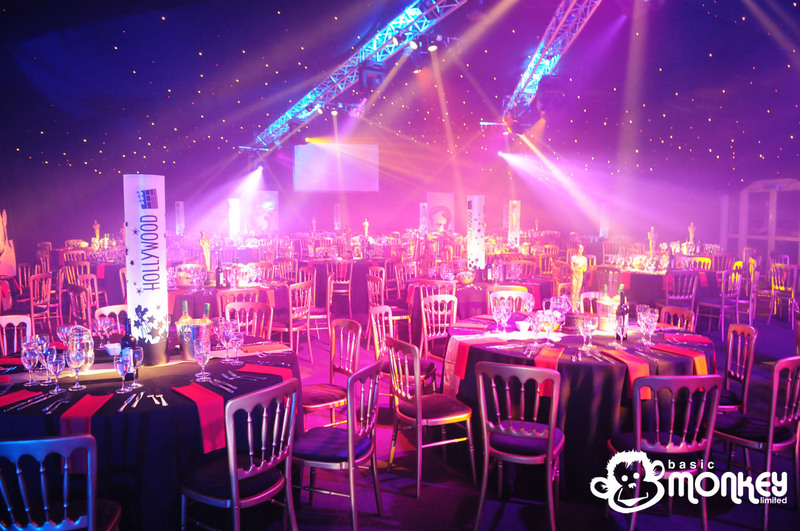 Jeremy from Unilever asked that as the guests arrived, it would look as if he had spent no money on the event and as such all screens were off, intelligent lighting was off and the room left dark with only a hint of colour. 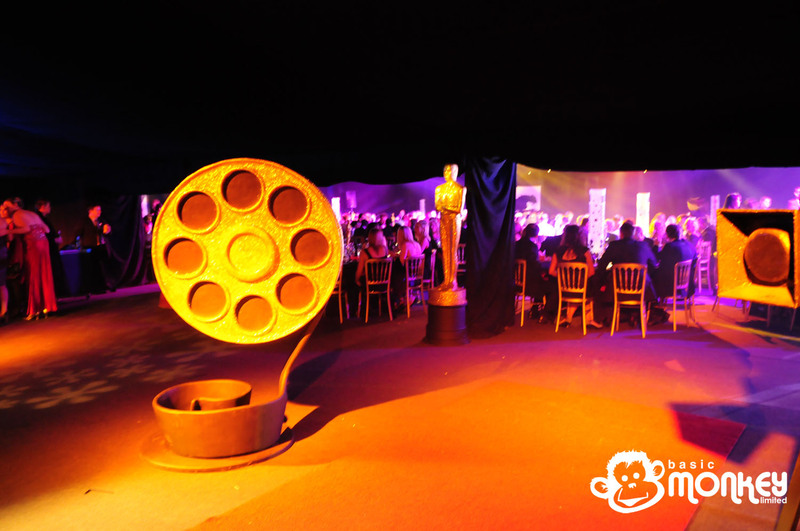 After the guests had all arrived, an intro video was played on the iLite screens and projection surfaces mounted on the gable ends of the marquee (also fed by Catalyst). 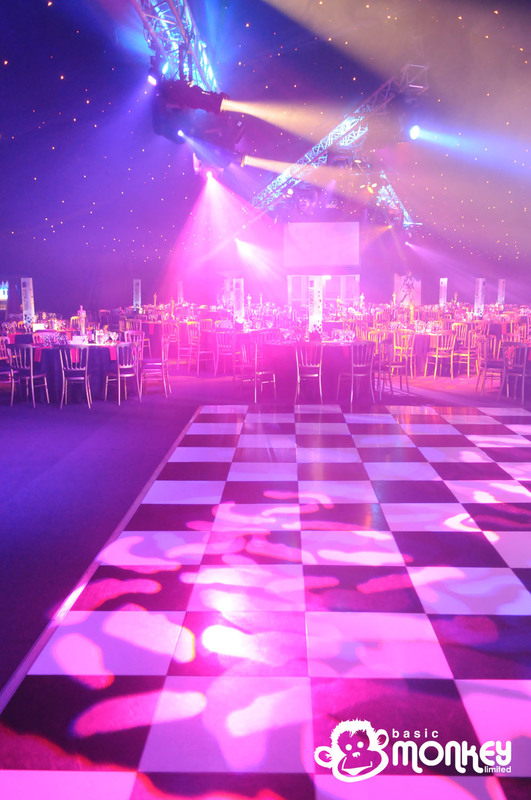 After this intro video, the full lighting effect was revealed and film trailers were played on the iLite pillars, a different one on each. 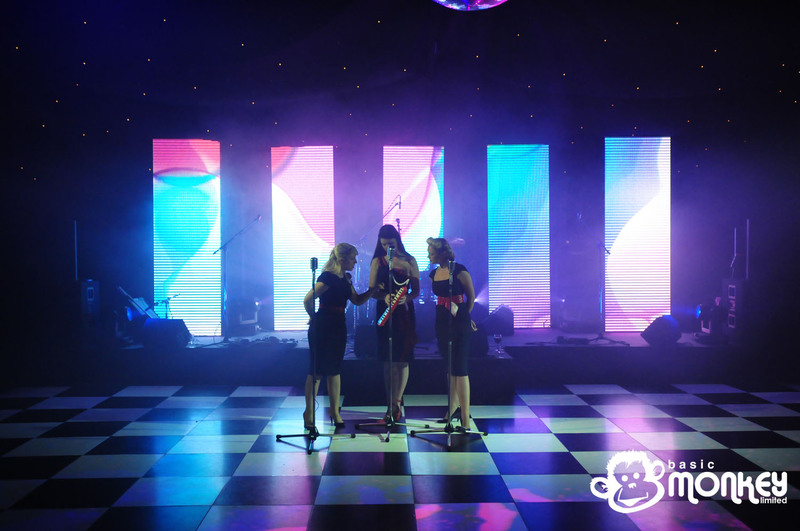 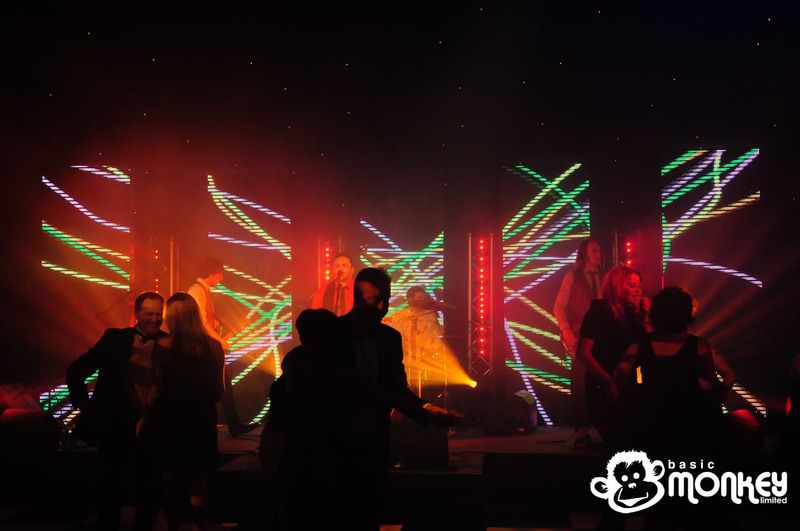 As the evening progressed and entertainment from the band began, stock content from Basic Monkey’s large library was played on the iLite pillars along with lighting effects from the array of LED and moving fixtures to support the performance.